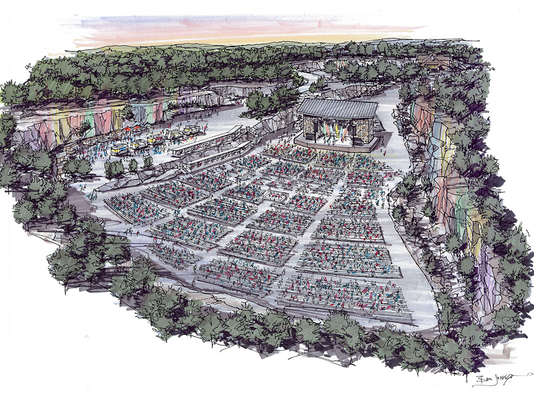 Thompson’s Station, Tenn., will soon be home to a new 5,000-seat boutique concert amphitheater and event space. Graystone Quarry Events broke ground in July on the property, which is located at the intersection of I-65 and highways 840 and 431. 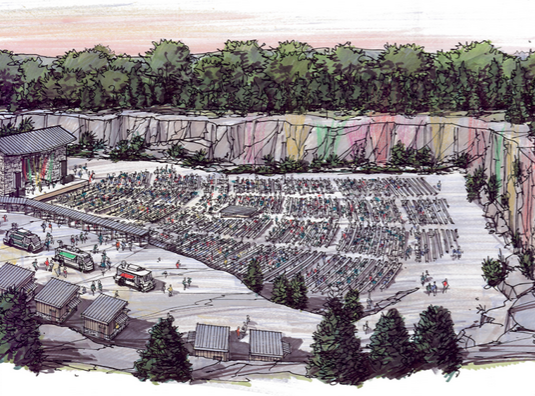 Located on 76 acres of reclaimed abandoned rock quarry in Williamson County, Graystone Quarry will include multiple entertainment options. In addition to hosting concerts, the amphitheater is slated to be used year-round for weddings and corporate events. Meanwhile, the 5,000-square-foot Hillside Pavilion can house artist meet-and-greet events. The Gathering Hall, with room to hold up to 600 (standing room), will offer a two-story space with commendable views. A 1/2 acre plaza area will have room for gathering, dining and merchandise. The quarry is surrounded by 70-100 foot linestone cliffs. Graystone Quarry is slated to open in 2017.